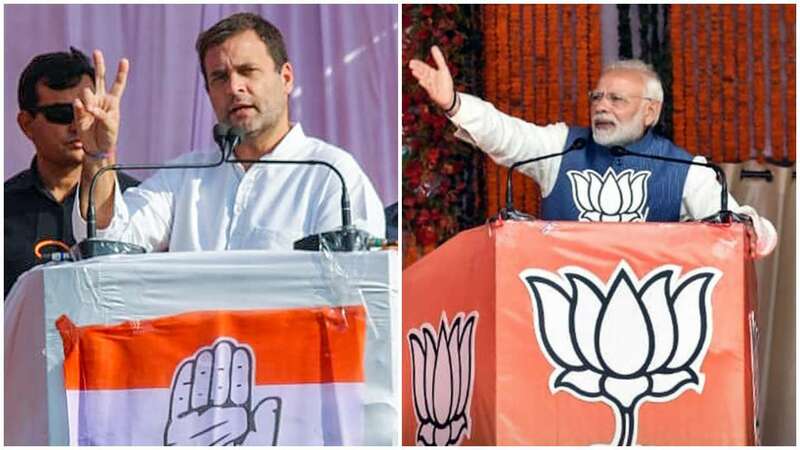 Dec 5 (AZINS) Mocking Rahul Gandhi over his gaffe calling Rajasthan jat leader Kumbharam as Kumbhakaran, Prime Minister Narendra Modi said the Congress president does not even know the names of his own party leaders. During a speech on Tuesday, Mr Gandhi had mispronounced Kumbharam as Kumbhakaran while mentioning a Lift Canal project in Rajasthan’s Jhunjhunu district named after Chaudhary Kumbharam Arya. "Congress President does not even know the names of his own party leaders. He did not even know the name of a very popular farmer and jat leader in Congress, late Kumbharam ji. He called him 'Kumbhakaran'. You can imagine what such people will do when in power," PM Modi said during a rally in Rajasthan's Sumerpur. Chaudhary Kumbharam Arya was a freedom fighter, tall Jat leader, parliamentarian and popular farmer leader in Rajasthan. On Tuesday, BJP leaders including Union Minister Piyush Goyal and IT Cell head Amit Malviya shared a video in which Rahul Gandhi appeared to fluff his lines during a speech. In the video, which was a part of his speech in Alwar, Gandhi failed to say Kumbharam and instead ended up saying Kumbhakaran. Kumbhakaran (or Kumbhakarna) is a demon from the epic Ramayana who’s Ravana’s younger brother with a penchant for deep sleep. Taking on the Gandhi family a day after the Supreme Court ordered that IT cases against Sonia and Rahul Gandhi be reopened, Prime Minister Narendra Modi said here Wednesday that his government had scored a win thanks to the courage of a "chaiwala". Today is the last of day of campaigning in Rajasthan where polls will be held on December 7. The counting of the votes will take place on December 11.